For more than sixty years, a silent monument to American industry and engineering has been tucked away in Centennial Park’s northwest corner. No. 576, one of only ten 4-8-4 type steam locomotives built in 1942 for the Nashville, Chattanooga and St. Louis (NC&StL) Railway, served this essential Southern railroad through World War II and into the postwar boom period before being replaced by diesel power and retired to its “final resting place” in the park. NC&StL donated the locomotive to the City of Nashville in 1953 as both a “memorial to rail steam power” and an educational tool for young citizens who might otherwise never experience a steam train. 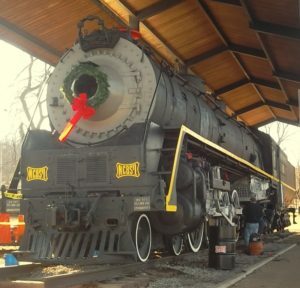 Today it’s the last NC&StL steam locomotive remaining in middle Tennessee, and a powerful touchstone for preservationists, history buffs, train lovers, and others who want to see it restored. 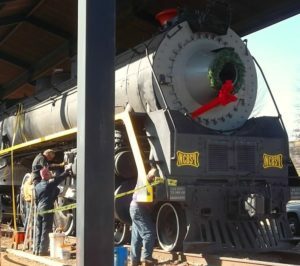 The Nashville Steam Preservation Society (NSPS), founded in 2015, is a group of train enthusiasts, including former and current railroad employees, who are working to restore and reestablish the 576 as a working locomotive. NSPS members have been involved with more than thirty train restoration projects around the nation, and bring decades of training and expertise to the project. 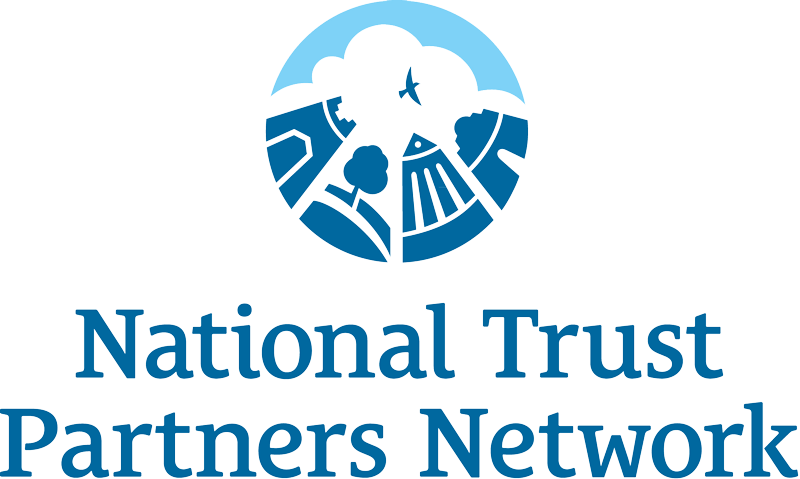 In partnership with Metro Nashville Parks and the Tennessee Central Railway Museum, NSPS plans to undertake an ambitious program of historic preservation, education and public programming, community engagement, and promotion during and after the train’s restoration. Beyond offering excursions on the Nashville & Eastern Railroad, No. 576 will function as a museum and classroom on wheels, helping educate Nashvillians not only about historic transportation, but also train safety and technical trade training. The October Open House event drew over five hundred visitors to share their memories of the train and experiences with the NC&StL. With the eventual goal of building a shop facility and visitors center specifically for the restored locomotive, NSPS hopes to restore the 576’s place as a Nashville icon and integral part of our city’s cultural and historic landscape. 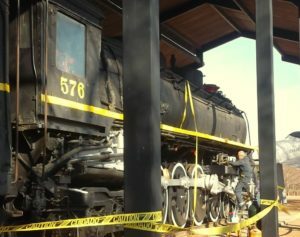 The first step of this multi-year project is already underway, with NSPS aiming to reach their goal of $500,000 to cover evaluation and relocation of the locomotive from Centennial Park to a site where it can be safely and publicly restored. They are currently about halfway to the goal, hoping to reach it in 2017. As detailed in Phase 3 of Centennial Park’s Master Plan, the train is already slated to be relocated due to park redevelopment in the near future, which creates a window of opportunity for NSPS to act as soon as the funds are raised. 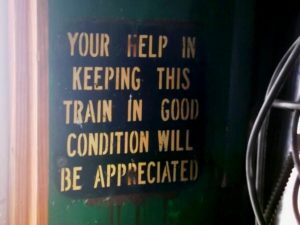 The train is very well preserved and “100% repairable,” and the project estimates $2.5 million and 4-5 years for relocation and restoration. “We have the tools and we have the team,” NSPS President Shane Meador said. “All it takes is time and money.” Once moved, the 576 will be evaluated for deterioration and safety issues, restored to running condition, and operated to bring the story of steam trains and technology to Nashville and beyond. 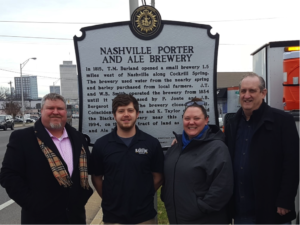 Historic Nashville, Inc. is proud to endorse this important and comprehensive project that will put an iconic historic artifact to use for the community’s benefit and enjoyment. A key component of the 576 campaign is sustainability and contingency planning, elements that can make or break any preservation project. $100,000 of NSPS’s initial fundraising goal is to remain in escrow: this money will allow stabilization of the train even in the event that full project funding falls through. In addition, the project’s focus on hands-on instruction and technical training speaks to concerns for the future: who will repair and operate the 576 in fifty years, when even today those with steam expertise are a dwindling group? The last remaining 576 employee, recently interviewed for the NSPS’s planned documentary, is ninety-nine years old and part of a vanishing heritage in America. The answer, of course, is people trained on the 576 in our own time, who are educated aboard this Nashville gem by those who saw its remarkable potential and brought it back to life. Click here to read more about the Nashville Steam Preservation Society and support their mission.